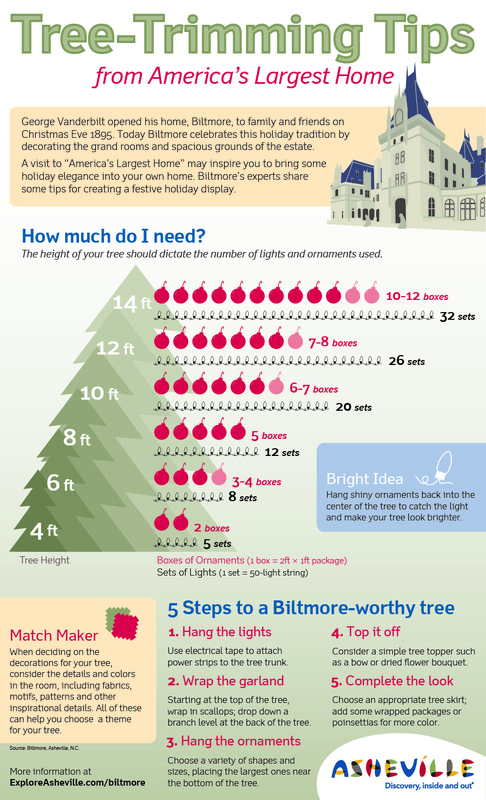 If you think decorating your home for the holidays can sometimes be a little overwhelming, imagine what it&apos;s like to deck the halls at a home with over 250 rooms! 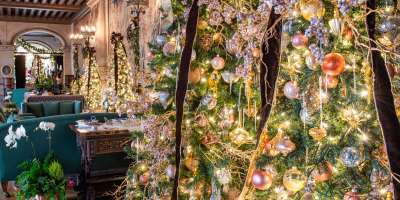 Decorators at Biltmore House, America&apos;s largest private home, have made holiday decorating an art, and in the spirit of the season, they compiled a list of decorating ideas that will help bring the warmth and spirit of a 19th-century holiday to your home. Choose a theme for your tree. A children&apos;s tree is always popular with antique or reproduction toys gathered around the base. For a softer look, consider using dried flowers, paper fans, ribbons, crocheted and handmade ornaments to create a Victorian looking tree. If you have antique collectibles, showcase them during the holiday season. Nestle them in evergreen and choose decorative ribbons that will tie in your color scheme. 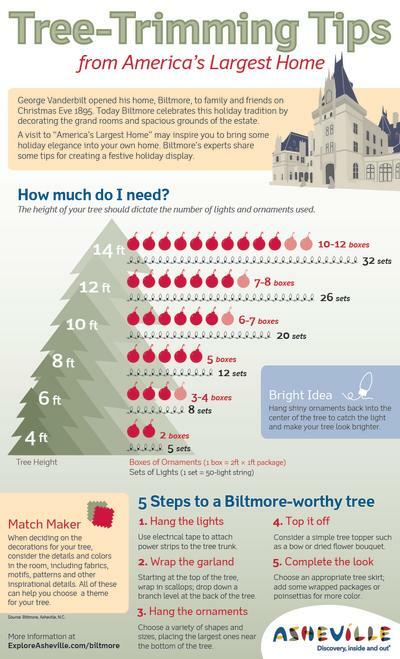 Instead of red and green, sprinkle crimson, burgundy, champagne, and gold throughout your holiday colors scheme. Survey the colors in your home and coordinate appropriately, or just try a combination you like. Wrap a staircase in evergreen roping and punctuate with moire bows. Include hanging prints or photos in your holiday decorating. Trim them with fresh greenery, dried flowers or ribbons to add color. Make a gumdrop tree by placing several small branches in a clay pot. Press Sugar-coated gumdrops on the twigs, and place small, brightly wrapped packages around the base. Cluster fresh flowers such as paper wipes, with globed candles and nestle them in a bed of ivy or evergreen on a sideboard or occasional table. Drape with strands of glass beads and crystal ornaments for dazzling holiday arrangements. Use festoons of greenery, instead of traditional wreaths. Decorate with silk bows, old-fashioned ornaments or dried flowers. Use handmade ornaments side-by-side with hand blown glass ornaments similar to those used in the 19th century. Ornate Victorian patterned paper can be folded into paper fans that are decorated with a bow. Pomander balls (dried fruit with embedded whole cloves wrapped with tulle and ribbon) are not only decorative but fragrant.